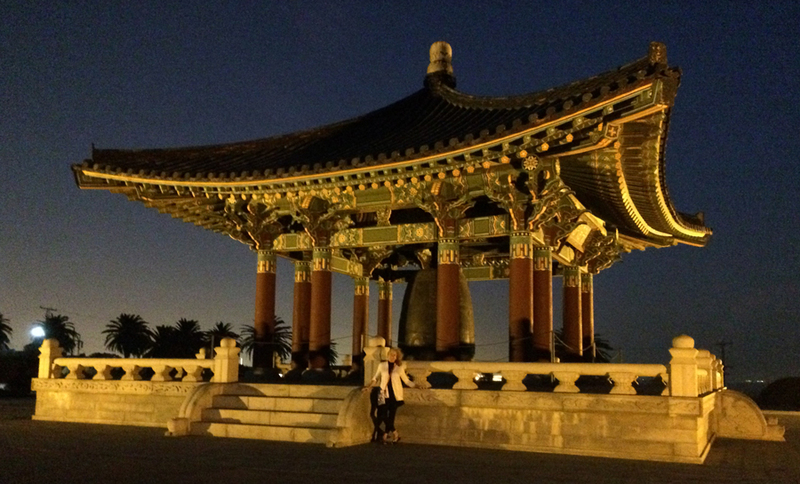 One night in August, after an afternoon party just across from this park, I joined two friends for a visit to the beautiful Korean Bell of Friendship at Angels Gate Park in San Pedro, CA. 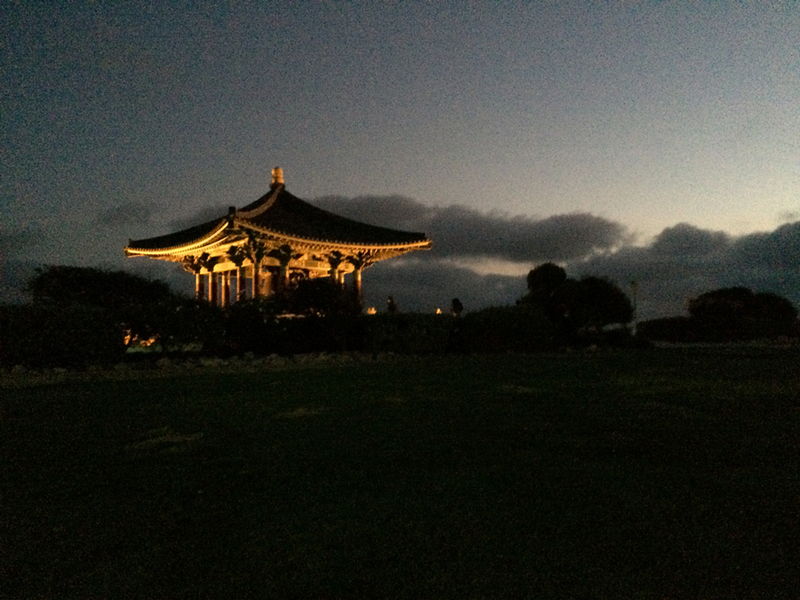 It’s far better to arrive in the daylight because you can more fully appreciate the art of both the pavilion and the bell and also enjoy the views. There is some great walking to be done not far from there too. 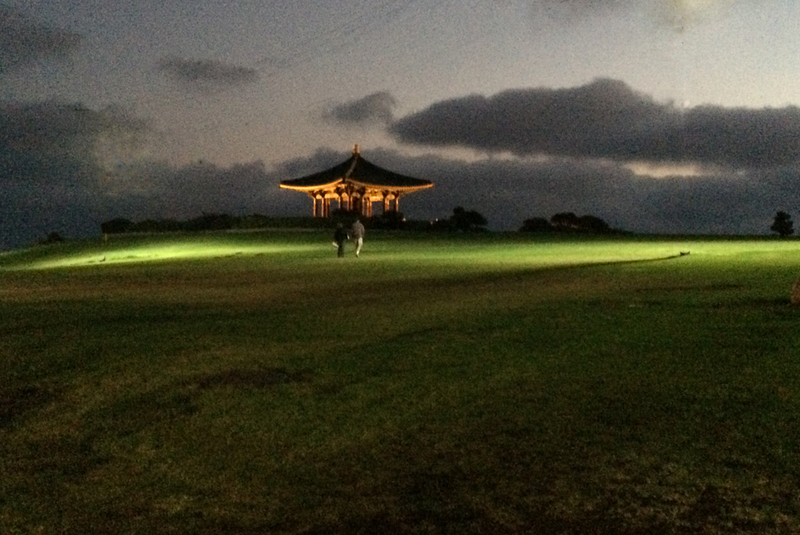 But if you can stay for the sunset, you also get to see the Pavilion lit up against the sky as we did. Viewing from the water side. The gates to the park, or at least the one by the bell, closes at dark. We had an adventure finding the last open gate.